Dr. Weidner received his medical degree from the University of Pennsylvania and completed his residency training and a fellowship in critical care at Duke University Medical Center. Dr. Weidner also completed a fellowship in pediatric surgery at Seattle Children?s Hospital. He is board-certified in general ... Read More surgery, pediatric surgery and surgical critical care. 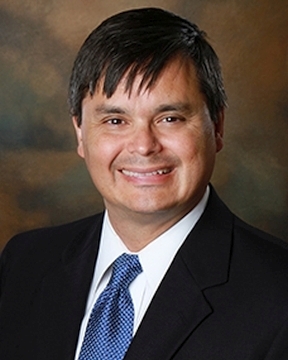 Prior to joining Sacred Heart, Dr. Weidner served as an associate professor and chief of pediatric surgery at the Mercer University School of Medicine in Macon, Ga. and the medical director of Georgia Pediatric Surgical Associates. He is a fellow of the American College of Surgeons and a member of both the American Pediatric Surgical Association and the American Medical Association. Dr. Weidner has special medical interests in minimally invasive general and thoracic surgery on infants and children. Pediatric surgeons at The Children?s Hospital treat a wide range of conditions including congenital birth defects, hernias, head and neck masses, digestive issues, genitourinary issues, thoracic conditions, tumors and cancer. When he is not working, he enjoys spending time with his family. In 2017, Dr. Weidner was recognized by Professional Research Consultants (PRC) as a ?Five Star? healthcare provider who scored in the top 10% nationally on patient surveys where patients were asked to rate the care they received. Awards are based on how often patients gave their physician or provider a rating of excellent on the PRC survey question. PRC is a national healthcare marketing research firm that works directly with more than 2,000 hospitals and healthcare organizations.